Is your boiler acting up? 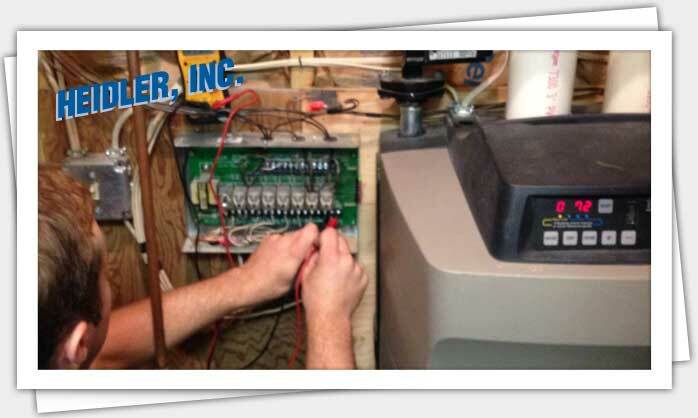 Call Heidler, Inc. to work with the best Annapolis boiler repair and replacement technicians. For expert solutions, call (410) 268-7191 to schedule an immediate service. Click here to view our latest online specials. Your boiler is one of the most important units contributing to your overall home comfort. It provides the heat you need during the winter, and in some homes it may also be your main source of hot water. If you are noticing problems with your current unit, contact your Annapolis boiler repair and replacement experts at Heidler, Inc. for the right solution. Click here to read our latest customers reviews and see what your neighbors are saying. Several factors can lead to your boiler breaking down or losing efficiency. Contact us for an accurate diagnosis and solution to your particular problem. Lack of hot water or heat: If you fail to receive hot water, the boiler’s diaphragm is likely broken and no longer functioning. The motorized valves in the boiler may also have stopped working correctly, or the thermostat is not properly registering the temperature. Leaking: This problem is caused by a loose seal in the boiler or a puncture in the diaphragm. Unusual sounds: If your boiler is producing strange noises, such as loud clanking sounds, there is excess air in the system. Strange noises may also indicate low water pressure. Pilot light fails to stay lit: There are various reasons why your gas boiler’s pilot light has gone out. The thermostat may be broken or incorrectly set, impeding the supply of gas. There may also be a draft that is blowing out the light before it can be properly utilized. Another issue involves a deposit in the pilot light that is preventing the gas from reaching it. Lack of pressure: A drop in your boiler’s water pressure is a sign of leaking. We will track down the leak and inspect your boiler to make sure further problems do not develop. Kettling: If you hear kettling or rattling noises, there is likely mineral buildup in your system due to hard water. Yes. Your boiler should be professionally maintained at least once a year. If you have an oil-fired boiler, a burner service should be performed annually by our oil delivery company. Boilers are designed to last an average of 15 years. High-quality boilers will last longer with routine maintenance. For comprehensive boiler repair and maintenance, call Heidler, Inc. at (410) 268-7191. We will send a technician over right away to make sure your heating system is brought back to life.